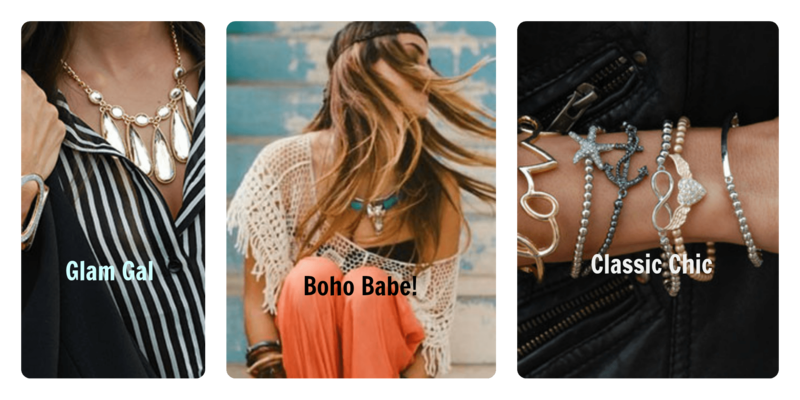 Home / Giveaways / Jewelbits monthly jewelry for every style! 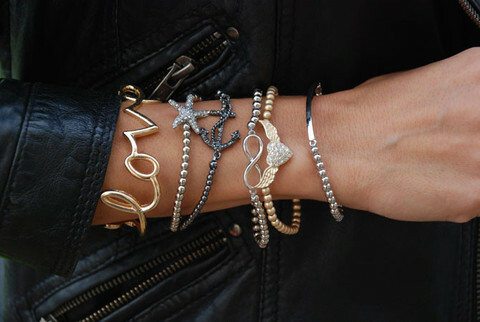 Jewelbits monthly jewelry for every style! Every time I walk into any kind of store I have to look at the jewelry, it does not matter if its expensive or or costume jewelry or just novelty stuff for the upcoming season, something about it draws my eye and I love to look at it. 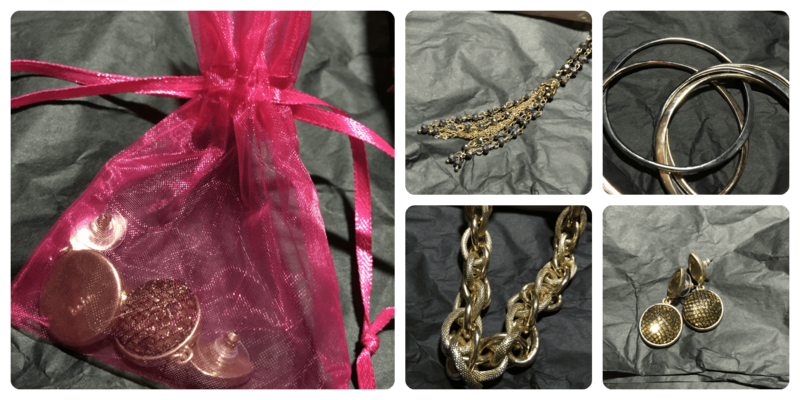 Jewelbits, sends all of that beautiful jewelry to my house now, once a month they send a box with all kinds of pretty things in it. I love it, because as much as I look at jewelry I seldom buy it, I seem to never be able to pick something out and actually pull the trigger on it. With the Jewelbits, they decide that and for people like me who are so indecisive this is really cool. I loved all of the pieces they sent me. When you sign up with them they ask you to pick what style you would like, they have Classic, Boho, and Glam gal, I picked classic, as most of the things that I wear jewelry with are classic looks. As you can see they are pretty distinct but, all beautiful. As most subscription boxes work you simply pick a style, pick how many months you want the subscription to be, and they deliver your box of jewelry. Jewelbits pack each piece in its own little mesh bag, so there is no issues with it getting messed up on the way, and the box it comes in is sturdy enough to keep it month to month. I think it is always exciting to get things in the mail and this is neat because it is just for you! Check out their website here, and follow the social media channels, Facebook, Twitter, Pinterest, and Instagram so you can see more of the jewelry they send. These are the things I got! This would make an awesome gift for your mom, best friend, girlfriend, or even your boss or co worker! I love these boxes! Next post: Lightinthebox.com is having an awesome sale! JewelBits Giveaway - Here We Go Again...Ready?